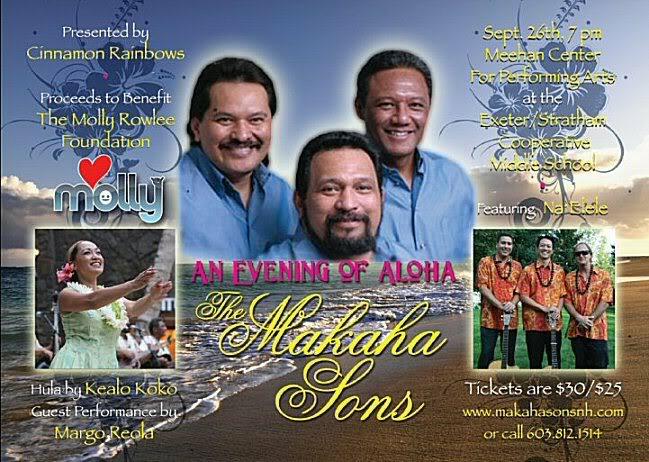 What an honor to be a part of the Mākaha Sons show, the second time in three years. Returning to Stratham, NH was a unique and valued opportunity to experience the show from a performer’s perspective – going through sound check, watching the Sons do their thing, and just hanging out. As a “non-touring musician”, I personally learned so much on stage in front of a captive audience. It was a contrast to playing music during cocktail hour or playing back up to hula dancers. All are fun, but taking to the big stage holds great promise that I might pick up some gems from the Mākaha Sons’ 30+ years of performing experience. What an amazing experience. 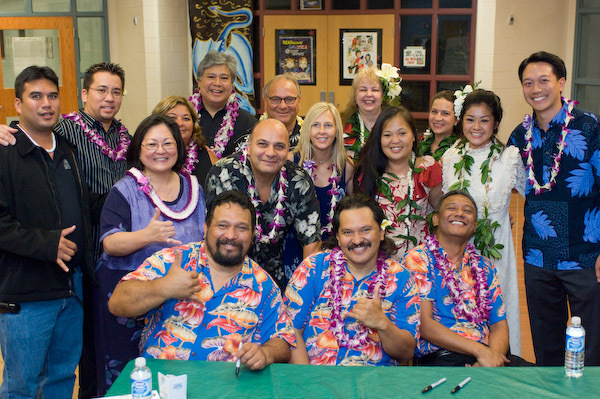 It was a true honor to be invited to be the sole Hawaiian slack key guitar performer on the bill and to share the stage with such incredible musicians.